Join in Grand Rapids to simulcast the 57th Annual Meeting that will be taking place in Detroit. 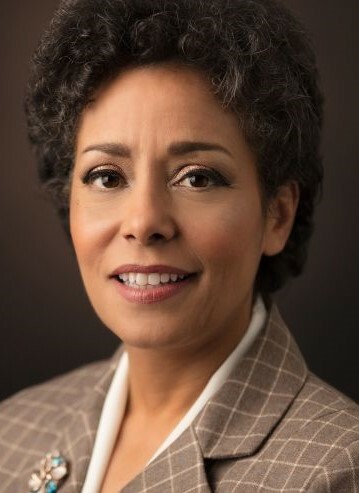 Our 57th Annual Meeting will have keynote speaker Michelle Howard, who was the first woman to achieve the rank of four-star admiral in the U.S. Navy. Adm. Howard’s 35-year naval career is marked by even more firsts. In 1999, she became the first African American woman to command a U.S. naval warship when she took the helm of the USS Rushmore. She was the first African American woman to lead a U.S. Navy battle group when in 2009 she took command of Expeditionary Strike Group Two. She planned the 2009 mission to rescue Capt. Richard Phillips from Somali pirates who had seized his cargo ship at the Gulf of Aden. The hijacking and rescue were depicted in the 2013 film “Captain Phillips.” Adm. Howard was born into a military family. Her father served as a master sergeant in the U.S. Air Force, and by the time she was 12 years old she had started thinking about embarking on a career in the military. During high school she applied to the U.S. Naval Academy, and upon entering Annapolis in 1978, she became one of only seven black women in the school’s class of 1,363 students. To read more about Amd. Howard click here. Corporate investors: Corporate investors may use up to five gratis tickets for the event.